The first encyclical by Pope Francis, Laudato si’ – Alabado seas, does not seem to have left anyone unmoved. An encyclical is the most important document published by the Catholic Church. It is addressed to the Catholics of the world and the Pope uses it to clearly define the Church’s point of view. However, Laudato si’ is aimed at all of the planet’s inhabitants, regardless of religion, because it addresses the fate of humanity. It is not concerned with the fate of Planet Earth itself, because it will continue to exist, but rather how likely it is that human life as we know it today will continue to survive on the planet if we don’t learn to look after it. This is the encyclical’s fundamental lesson for us all. 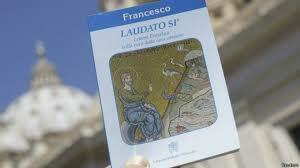 Laudato si’ begins by accepting the scientific consensus on global warming. This means that it recognizes that the main cause of global warming is human activity over the past 300 years, after the Industrial Revolution, and specifically its indiscriminate use of fossil fuels. This is the basis for consideration of the kind of civilization we are building as we improve our quality of life and experience a level of economic growth unprecedented in the history of mankind. In Antiquity, during the Middle Ages, and in the Early Modern period, economic growth was practically unheard of. It was only after the Industrial Revolution that the great explosion, which first occurred in the West and has now spread across the planet, really began. In this context, the encyclical focuses on exaggerated consumerism and the extreme, morally unrestrained use of the Earth’s natural resources to satisfy our needs. At a time when financial activity accounts for almost 30% of the world economy, the Pope is categorical: “The financial sector is drowning the real economy,” he says, strongly criticizing the measures taken to overcome the financial crisis and the lack of attention given to the degradation of the environment. Pope Francis goes on to severely admonish the political elites of the world and their lack of political will in achieving a consensus that can make progress with reducing the emissions that cause global warming. The failure in 2009 in Copenhagen is still fresh in the memory. It is thus extremely important that this encyclical has been published before an end of year congress in Paris where the political leaders of the world will make another attempt to reach agreement on this difficult problem. How can we reduce emissions? How can we adapt to the warming that is already taking place? How can we avoid the 2 degree rise in temperature (we have already seen a 1.3 degree increase since the Industrial Revolution) which is the maximum that scientists say the planet Earth can stand if we are to continue to survive? How can we make progress and provide answers to these questions? The Pope also adds that it is fundamental that we address more modest needs. How can we justify the fact that every day we throw away enough food to feed the 800 million human beings who go to bed hungry? This warning call is also a call for deep thought. Alabado seas is a tough assessment of the present situation and we will all have to take responsibility for what it says and for taking the first step as we shift into action. For their part, disadvantaged people all over the world, when, or if, they ever hear about this encyclical, will be crying out to the Pope “Alabado Seas”: Praise be!